In Penn State's opening three matches, Megan Courtney compiled team bests with 35 kills (3.89 per set) and 26 digs. She also had 12 blocks. 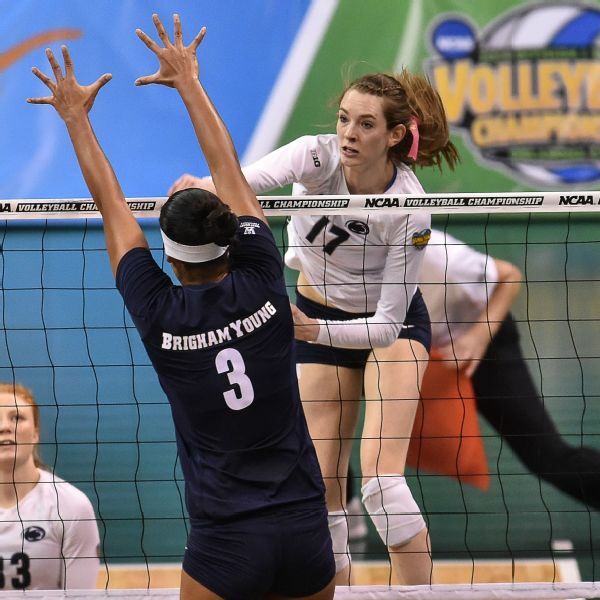 Penn State volleyball standout Megan Courtney knows the "correct" answer to the question, but she also offers a more realistic answer as well. Is there something "special" about facing No. 2 Stanford, which the No. 1 Nittany Lions will do Saturday at 8 p.m. ET on the Big Ten Network? Courtney is a 6-foot-1 senior outside hitter who has started her entire career for coach Russ Rose. So she understands, from a preparation standpoint, that you can't make any match -- especially this early in the season -- bigger than the others. Still, it is Stanford, the program with the second-most NCAA titles (six) behind Penn State's seven. Add in that the past two years, the Nittany Lions and the Cardinal have met in the NCAA tournament. In 2013, Penn State won in a five-set regional final that was as intense and well played as any match in that year's tournament. 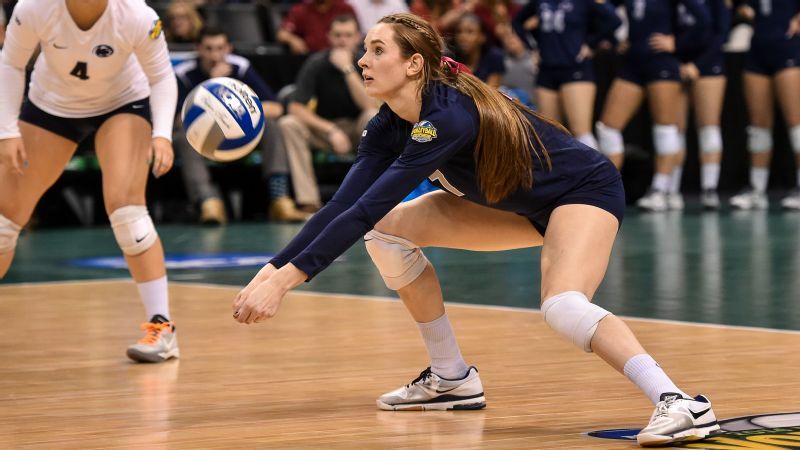 Last year, the Nittany Lions prevailed in a tight four-setter in the national semifinals. "But ... Stanford is an incredible program. And our coach is good friends with the Stanford coach [John Dunning]. It's a friendly rivalry, but they both really want to win. 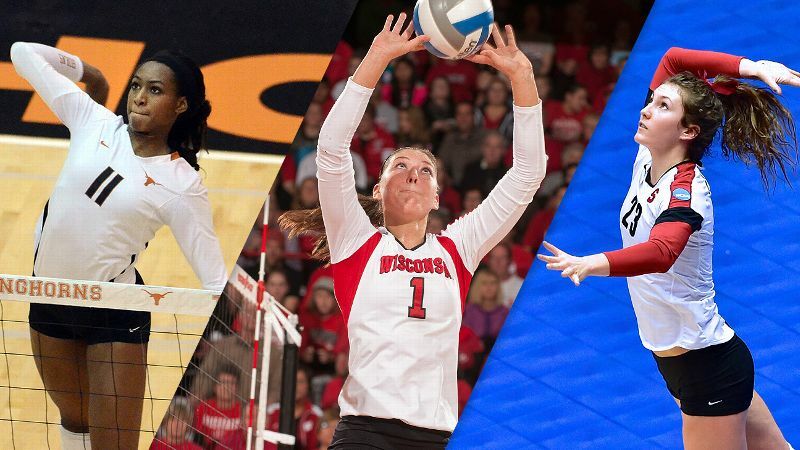 Both coaches want to play the best teams to get ready for the NCAA tournament." The other thing to consider is that both Penn State and Stanford have challenging opponents the day before they meet each other. In the opening matches of the Big Ten/Pac-12 Challenge at Penn State on Friday, the Cardinal face No. 6 Illinois, followed by the Nittany Lions against No. 21 Colorado. So it's a big weekend. But as Courtney said, it shouldn't be made to be too big. Teams don't win NCAA titles in September, of course. But what you do in September is part of what leads to a championship. "Because it's the little things that matter," Courtney said. "You add those up, and that's what will get you to your goal." Senior Megan Courtney leads Penn State from her ability to play and her experience. Courtney and her fellow seniors are going for their third consecutive NCAA title this season. She was the volleyball championship's most outstanding player last year and is one of the most well-rounded players in the collegiate game. "Megan could easily be our starting setter or libero, too, because she's the best at both of those skills," Rose said. "She leads from her ability to play and her experience; we haven't had a lot of kids who have started for four years. "She carries a bigger load, because when you're the MVP of the final four and win a national championship, your stock goes up. People know who you are, there's a little more attention placed on defending you and attacking you. But I think she has a great head on her shoulders, and she'll do as good a job as she possibly can do." Courtney showed all her skills in Penn State's opening three matches last weekend, compiling team bests with 35 kills (3.89 per set) and 26 digs. She also had 12 blocks. As Rose said, she's the kind of player who helps Penn State in many ways. She grew up in a volleyball family in Dayton, Ohio. Her parents, Rob and Sharon Courtney, both played the sport, as did her brother, Robbie, who is coaching it at the high school and club level. When it came to picking a college, Courtney didn't have trouble deciding. She committed to the Nittany Lions during her junior year of high school and then tried to prepare for what it would be like to play at the college level in an atmosphere like Penn State's Rec Hall. "I would come on visits and talk to the players who were here," Courtney said. "But you can't really do it justice by just seeing it on TV or even sitting in the stands. You have to experience it on court. She carries a bigger load, because when you're the MVP of the final four and win a national championship, your stock goes up. People know who you are, there's a little more attention placed on defending you and attacking you. "When you step out there the first time, it's just an incredible feeling you can't really describe. It's exactly what you wanted and worked for. But then you have to go back to reality really quickly. You get aced or something, and Coach is like, 'What are you doing? This isn't high school anymore.'" Courtney laughs recalling how many times during her freshman season Rose would say that "it's not high school" line to her. By the same token, Rose always thoroughly prepares players for what they'll be experiencing during games. "Every drill and practice is like game time. He makes it that way," Courtney said. "And just because you're a freshman doesn't mean he doesn't expect you to play confidently and smart. If you're on the court, he expects you to play like you've always played, not, 'Oh, I'm going to freak out.' But he doesn't set you up for failure. He gives you that mindset you need." 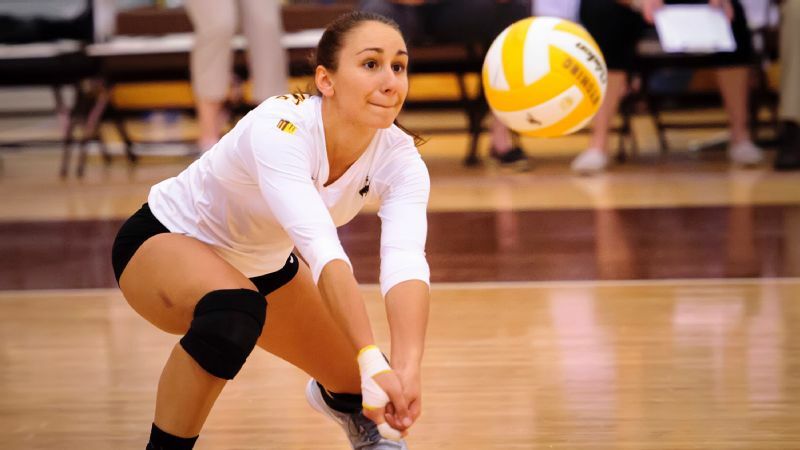 Now that she's a senior, Courtney is particularly aware not just of the example she sets for the younger players, but also of how she approaches the mentality of being a hitter. Meaning she's likely to encourage young players to swing away and go for the big kill whenever they're set, but she herself will be more judicious. 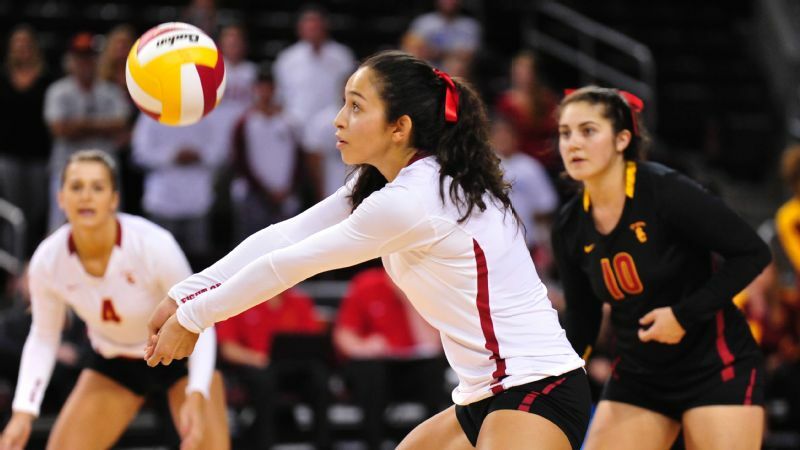 "As you get older, that's when you start to realize, as a freshman I could have 20 kills and 10 errors, and I'd think that was fine," Courtney said. "But as a junior or senior, you just can't have those 10 errors. That's what wins or loses matches. You have to be really conscious of mistakes. As you grow as a player, you understand error management and when to take a step back." It's that kind of maturity and smart risk assessment -- done at game speed -- that gets players to the next level, too. And in Courtney's case, there is also her versatility that's really important. "If Megan elects to play beyond college," Rose said, "she'll be a great professional player because she's so multifaceted."